Florida Says "Good-Bye Frye" & "Hello Daubert" - Who's Next? Say hello to a whole new expert era in Florida. After nearly a century of utilizing the Frye standard to evaluate the admissibility of expert witness testimony, on July 1 a new law adopting the federal Daubert standard came into effect across Florida state courts. The July 1 date is a momentous one for those who rely on the use of expert witness testimony in Florida state courts, as it signals a major evidentiary shift related to the use and admissibility of expert testimony in Florida. Signed into law on June 5th by Gov. Rick Scott as HB 7015, the law officially abolishes the long-standing Frye standard in Florida, replacing it with the federal court’s more rigorous Daubert standard. Florida’s adoption of the federal Daubert standard for admissibility means big expert witness changes for that state are on the horizon. Implementation of the Daubert standard will impose greater hurdles for the admission of expert testimony in Florida state courts, affecting attorneys, experts, parties, and even judges. The new law wasn’t the first attempt at expert witness testimony reform in Florida. Prior legislative measures aimed at toughening standards for admissibility of expert testimony were introduced in previous legislative years, most recently 2012, resulting in a bill which died in the House last March after suffering amendments which produced a confusing, watered down Daubert-Frye hybrid. This year, however, the result was very different – the state expert witness reform measure succeeded. Forget any watered down hybrid – almost a straight Daubert standard was enacted despite last minute legislative maneuvers that had the bill seemingly headed for the same dismal fate as the 2012 reform bill which failed. Florida’s newly amended law drastically changes the rules of the game for evaluating the admissibility of expert witness testimony in Florida, generally conforming admission of expert testimony in that state to admissibility to standards which more closely track the Federal Rules of Evidence and the Supreme Court’s 1993 landmark decision in Daubert v. Merrell Dow Pharmaceuticals, Inc. and its progeny. Unlike Frye – which generally focuses on whether underlying scientific principles are sufficiently established to have gained general acceptance in their field – admissibility under the Daubert standard is claimed by some to be far more exacting. Florida’s new law amends section 90.702 of the Florida Statutes and abolishes the Frye standard and pure opinion testimony, providing a standard for evaluating the admissibility of expert witness testimony that is patterned after Daubert and Federal Rule of Evidence 702. The amendment retains some of the law’s prior language, but added was a familiar federal three prong test for determining whether opinion or other expert testimony may be admissible in a given case. Generally speaking, the law states that if scientific, technical, or specialized knowledge will assist the trier of fact, an expert witness, who is properly qualified by knowledge, skill, experience, training, or education, may proffer an opinion or other testimony, if such testimony is (1) based on sufficient facts or data, (2) the product of reliable methods and principles, and (3) the expert witness has applied those principles and methods reliably to the facts in the case. 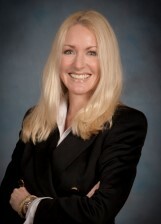 Although Daubert and its now famous following, Joiner and Kumho, are absent from specific case reference in the wording of the code’s text, the preamble makes it crystal clear – the legislature intends the federal trilogy to be the new standard for admission and use of expert testimony in Florida courts. Consistent with Daubert, Florida’s new law will very likely require a larger role by perhaps already overburdened state court judges who will play a critical “gatekeeper” function. The Daubert standard requires the judge, as gatekeeper, to make a preliminary determination as to whether certain admissibility standards have been sufficiently met in order for expert testimony to make it to a jury. Some opponents of the bill argue that it will force state judges to become “pseudo scientists,” as they must ostensibly become more familiar with the scientific principles at issue in a case. As a result, opponents fear that the new law will result in delay tactics and increased litigation costs associated with what are commonly termed pre-trial Daubert hearings – which some claim can turn into “mini-trials” over what is already established science. Proponents of the new measure claim that tougher standards for admission of expert testimony will help prevent what federal legal lexicon has dubbed “junk science” and help fend off frivolous lawsuits, as reported by The Florida Bar News. Some supporters in the business sector are optimistic the new law will improve the overall business environment in Florida, a move they claim will help create more jobs in that state and reduce litigation forum shopping, as recently reported in the Sunshine State News. Florida’s adoption of the Daubert standard ups the ante for plaintiff litigators and toughens the requirements for admission of expert testimony in Florida state courts. The number of states which still rely on Frye or some version seems to be diminishing – only a handful of states are still holding out, with some states seemingly inching their way ever closer to adopting the federal standard, as California seemed to do late last year. Do you think other holdout states are trending towards adoption of the Daubert standard for admission of expert witness testimony? If so, which state is next?